If you are looking to refresh your window coverings, you will be faced with the tricky decision on whether to choose blinds or curtains. Both options will offer you increased privacy, light control and can enhance the aesthetics of your room. Often, the choice between the two will come down to personal preference. 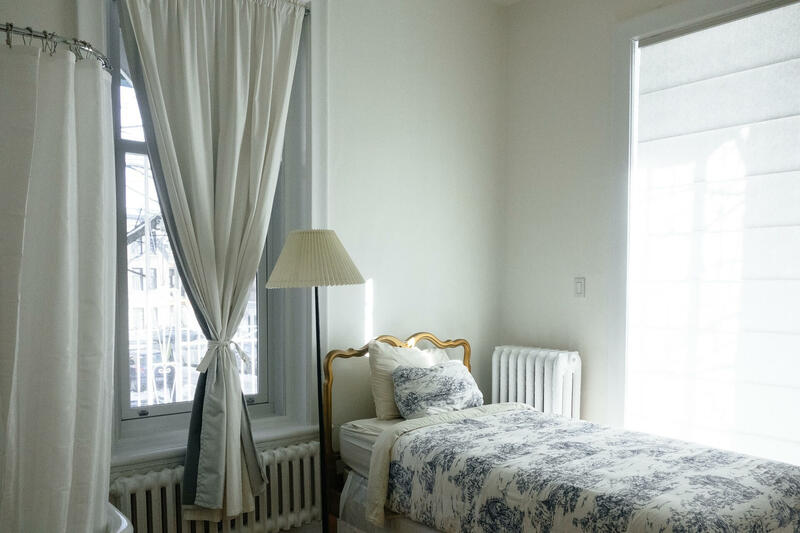 However, there are some distinct differences between curtains and blinds which can help you make a decision, and which we’ll explore in this article. The difference in aesthetics between curtains and blinds is often the biggest influence when it comes to making your selection. Generally speaking, curtains look more classic and elegant with their softer, flowing appearance. Blinds, on the other hand, offer a more contemporary, chic and neat aesthetic. There is a lot of variation within both kinds of window covering though, with each available in a variety of materials, prints and styles to complement your individual home. 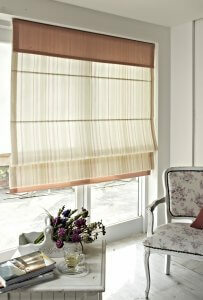 Blinds also come in a range of types, including rollers, Venetians, Romans and pleated. The price of your window coverings will largely depend on the materials chosen, the quality and whether or not you opt for a made to measure service. However, on average, blinds come in notably cheaper than curtains. A primary reason for window coverings is the privacy they offer and the ability to control light in your home. 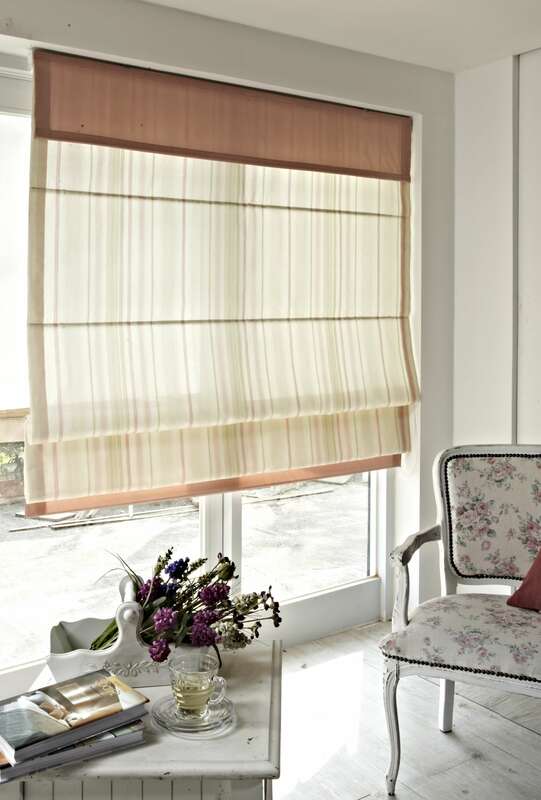 Whilst you can select blackout lined curtains or light, airy fabrics for control of light and privacy, they won’t be adaptable so you should be certain of your choice. Conversely, blinds can be a very flexible window covering. Particularly with Venetian or vertical blinds, the rotating slats offer great control over light admittance and privacy, allowing you to alter them to your needs. Blinds are generally easier and cheaper to clean and maintain than curtains. To keep blinds looking fresh, dusting is often all that’s necessary or, should they be a wipeable material, a simple once-over with a damp cloth. Curtains, on the other hand, usually specify that they should be dry cleaned only. Blinds are well suited to any room of the house. The damp and moisture in bathrooms and kitchens can mean curtains are unsuitable or impractical, however, blinds can be readily made from waterproof fabrics, aluminium or PVC. You may, therefore, decide to opt for a mix of blinds and curtains throughout your home, depending on the usage of each room. Leamington Blinds supplies and fits an excellent range high-quality blinds for customers in Leamington Spa and the surrounding areas. Our professionals can help you select the perfect blinds for your home – from practical blackout roller blinds to luxurious Roman blinds, our range has something for everyone. With a free fitting service from our experienced team, your blinds will fit and operate perfectly. Get in touch with our helpful team today with any enquiries.